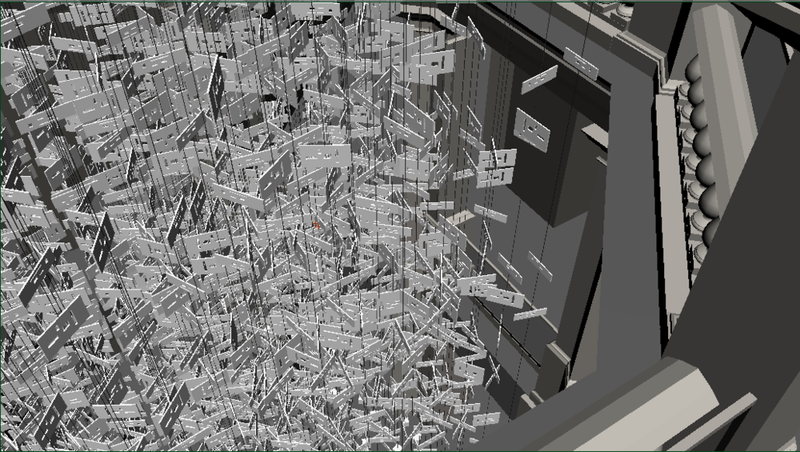 This is a previsualization render for a large-scale installation proposal. The project is a collaboration between David Staley and Jeff Haase from the OSU History and Design Departments, respectively. The installation represents linguistic data of the frequency of words in historical data through more than 100 years. Each string represents a document while each horizontal "level" represents a year. The words are cut out of gator board and lights are embedded in the structure to create shadows in the environment. 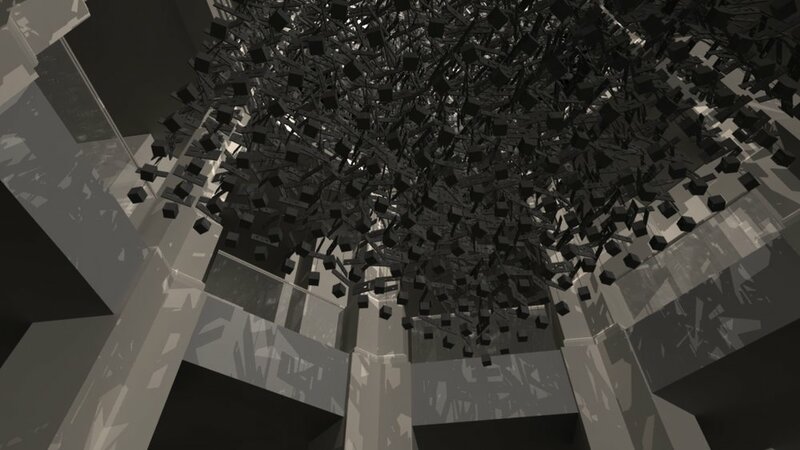 My primary responsibility was to create a virtual representation of how the space and structure would look when the installation was complete. The installation is planned to go in the open rotunda of Sullivant Hall and cascade from the top floor to nearly the first. I modeled the space in which the installation will be displayed, and also the structure of the strings and cards. These were animated to suggest the quality of movement in tandem with the lighting effects. 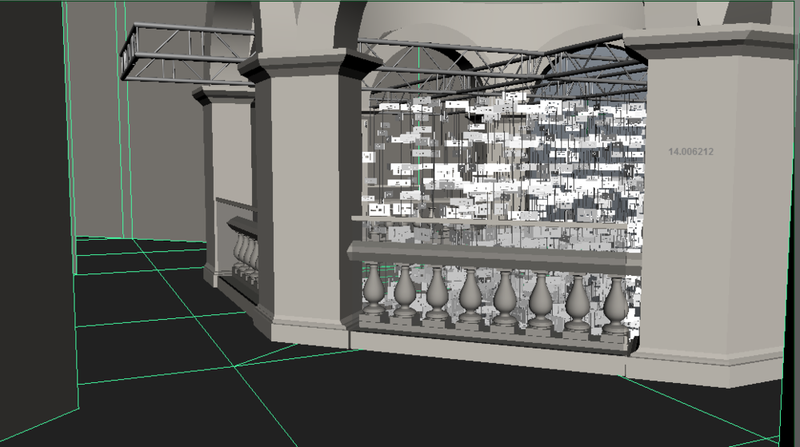 Below are screenshots of the in-progress structure and potential shots for renders. I also created wireframe plans to visualize how the structure is situated in the space.